Inside: The holidays are coming. Are you ready? 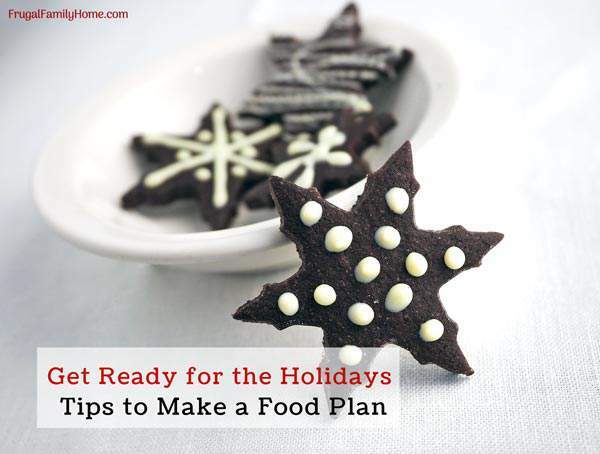 These tips will help you get your food plan ready for the holidays. The days seem to fly right by when we get to this time of year. Maybe it’s because there is so much to do and no extra time to get it done. But I’ve found when you have a plan busy times of the year will go more smoothly. 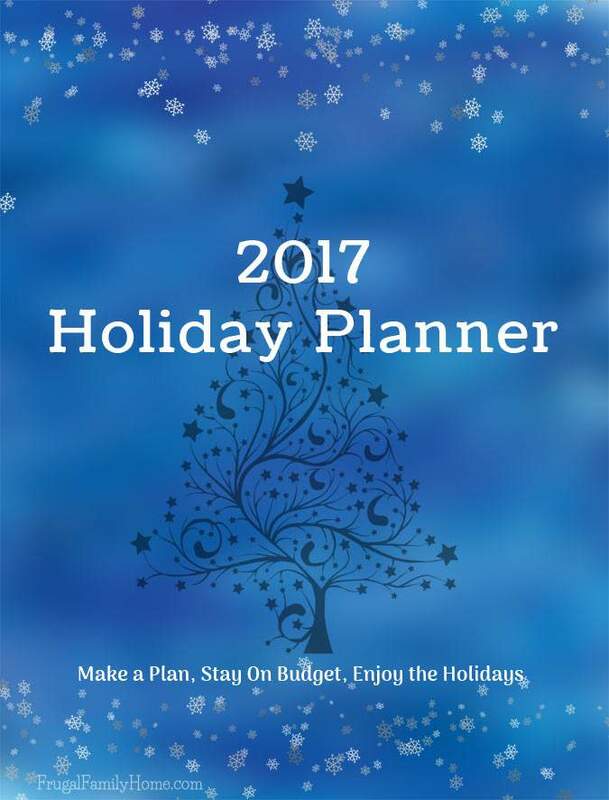 When you have a plan, you can save money and have a more peaceful holiday season. Now is the time to get ready. Since I host Thanksgiving and Christmas at our house, I like to make my food plan early. When you make your food plan early you can take advantage of the sales at the grocery stores and the coupon deals. If your freezer is packed, now is the time to eat down the freezer a bit so you can fit in a cheap frozen turkey or two. It will be nice to have the majority of your holiday food shopping done so when you go to the store the week of the holiday, you can get in and out with your small list. First, you want to gather your recipe cards, cookbooks, and computer to start looking for the recipes you will be preparing. I like to gather them up and print them out and put them not a notebook or folder so I know right where they are when I’m ready to cook. Once you have all your recipes in hand or scattered all over the kitchen table, you are ready to make your plan. Once the recipes are gathered up, it’s time to plan your menu. I have a printable holiday menu plan to help you get organized for your holiday meals. It’s will be sent to your email. Just add your email address below. Fill in your main dish and other items you will be making. 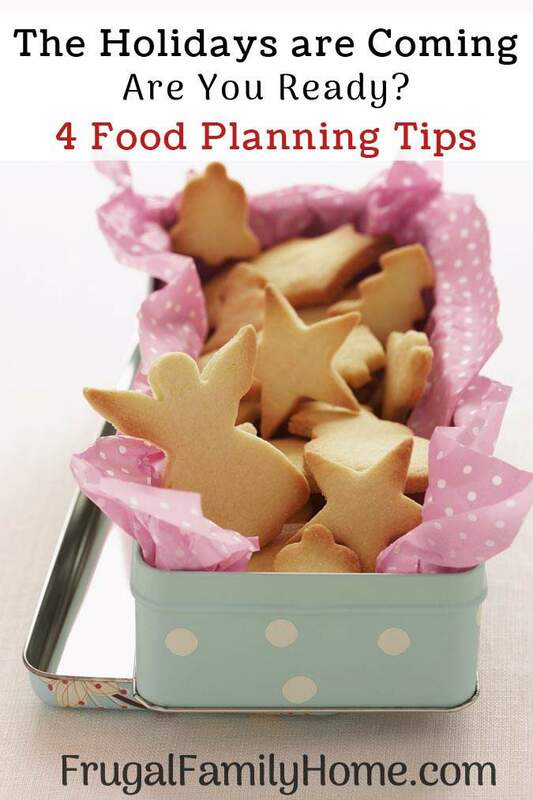 After your plan is made jot down the ingredients you will need and stick it to the refrigerator where you can find it easily when you are ready to plan your shopping trip in the few weeks to come. Before you shop each week look over the sales at each store you’ll be shopping at. Check to see if any of the pantry or freezer items on your holiday meal shopping list are on sale. If they are you can pick them up early. Then on the week of Thanksgiving or Christmas, you will only need to purchase the perishable items. Pretty good idea, huh!? There should be lots of Sunday paper coupons soon on cranberries, gravy, rolls and biscuits and other holiday baking items, so keep a lookout. Be sure to check out the printable coupons too.You can print Smart Source, Coupons.com, and Red Plum right from the coupon pages. If you need to check to see if a certain sale item has a coupon to match you can use the coupon database to check. When you take the time to print and check for coupons you can easily save more money in a few minutes. If you take the time now to make a menu plan for both Thanksgiving and Christmas you can save more time. Combine your shopping and save money too when you use coupons. It might not seem like much time now but as the holiday season gets busier, you’ll be glad you have a few things already done. Get the Free Printable Holiday Planner, it’s free and 11 pages to keep you on track with your Thanksgiving and Christmas plans. I can’t believe it’s almost Thanksgiving already! Seems like summer just ended, but all my grocery store ads are full of foods for the big Thanksgiving meal that’s coming up.